If you’re new to scuba diving, a computer is one of the first pieces of gear you’ll want to buy. 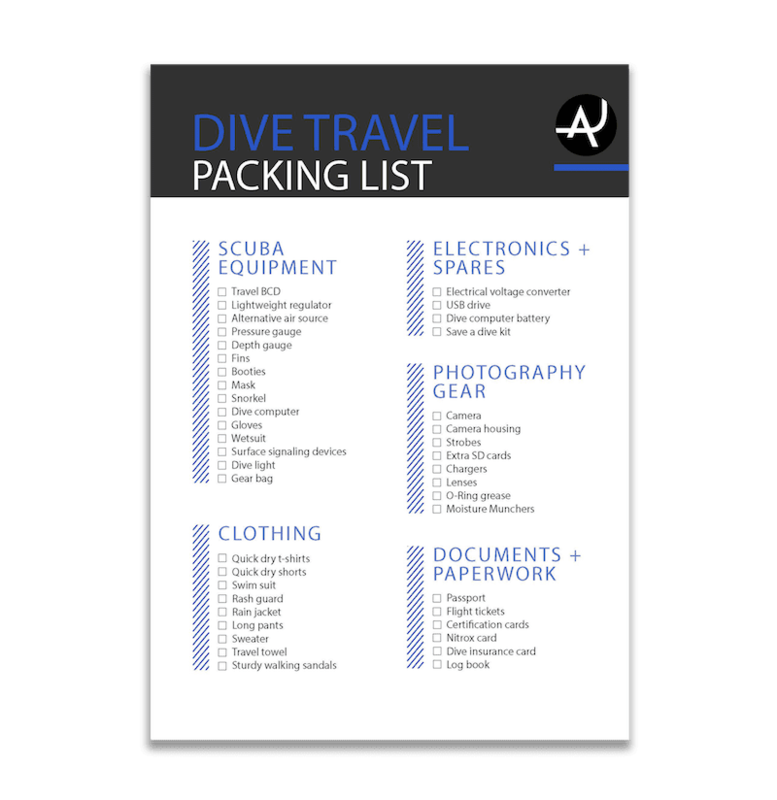 It will help you plan every dive before you enter the water, including alarms for depth, time, and ascent rate. And, it will keep a detailed log of every immersion. Most importantly, a dive computer will calculate your dive profile and ensure that you are always diving well within your limits. But, with hundreds of options available, it can be hard to choose the best dive computer for beginners. No worries, newbies! The Adventure Junkies are here to help. We broke down the most important features and considerations to keep in mind while shopping for a dive computer, to make your job easier. We also handpicked the best models available for beginners, perfectly suited to your skillset. Read on to find your best match. This is one of the easiest to operate dive computers around thanks to its intuitive one button design and easy to navigate menus. And, it’s the most affordable option in its class, making it a top pick for newly certified divers. 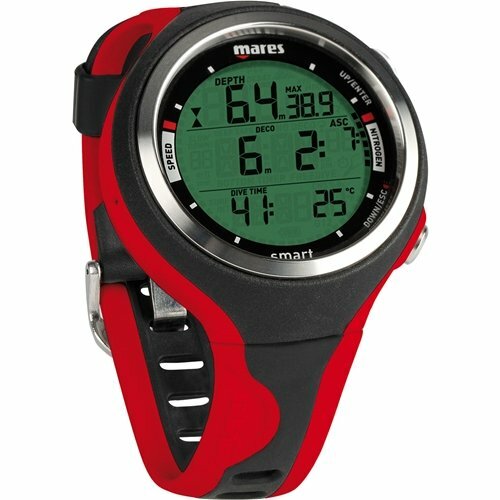 The Mares Puck Pro is one of the most rugged models on the market, making it perfect for divers who are a little tough on their gear and first-time computer owners. Features like an oversized, solid plastic design and extra large backlit display do give it a chunky appearance. But you’ll never find yourself squinting at a tiny screen or scrolling through endless menu options underwater while diving with this computer. 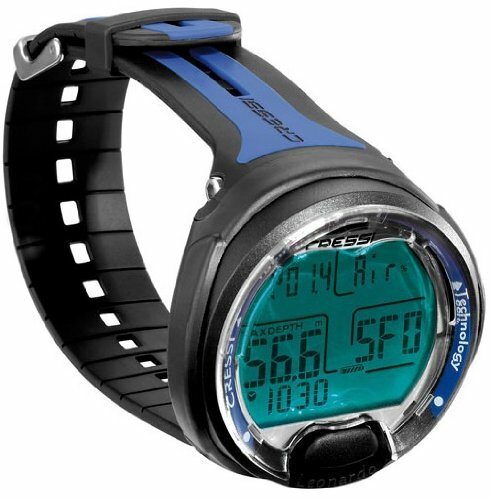 The Cressi Leonardo is an excellent option for new divers who want to take control of their underwater experiences. Its low profile design is much more compact than other watch style models. 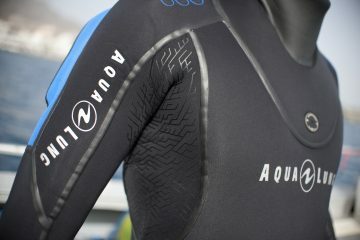 Plus, it has way more diver friendly features than other similarly priced designs. This computer offers adjustable safety settings, so you can decide exactly how conservative you’d like each dive to be. It also allows you to add extra decompression stops to your dives if you want to minimize risk. And, it features programmable visual and acoustic alarms for depth, bottom time, ascent rate, and more. 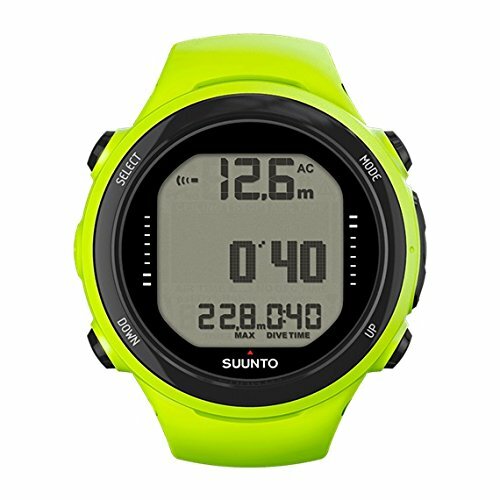 The Suunto Zoop is one of the best selling dive computers of all time. And, its newest version, the Novo, is just as good as the classic. So, if you’re looking for a solid and reliable piece of equipment that will last for years to come, this might be your best bet. This model is also a favorite among working dive professionals thanks to its rugged design, easy to read screen, and super safe dive profiles. Though it doesn’t win too many points for style, this is a computer that will absolutely stand up to daily use and abuse. The Mares Smart packs a ton of diver-friendly features into a small and stylish package. And, it uses the same intuitive menu layout as its wrist style counterpart, the Puck Pro. 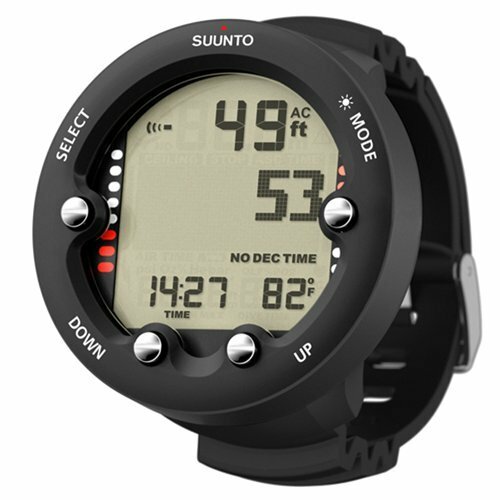 This model is an excellent value, as it is basic enough for the newest of newbies but offers advanced settings like gas switching, freediving, and Nitrox up to 99%. This computer doubles as a wristwatch for everyday wear, so it’s perfect for working divers or anyone spending a ton of time in the water. But, the smaller face and band size are best for warm water environments. This is one of the most compact watch style dive computers on the market. And, it features a super soft and comfortable silicone strap in a variety of trendy colors. So, it’s perfect for divers who want a computer that can double as an everyday wristwatch. The D4i Novo offers a wide variety of features including freediving and adjustable safety settings. And, it comes with optional air integration for divers who don’t want to carry a pressure gauge. 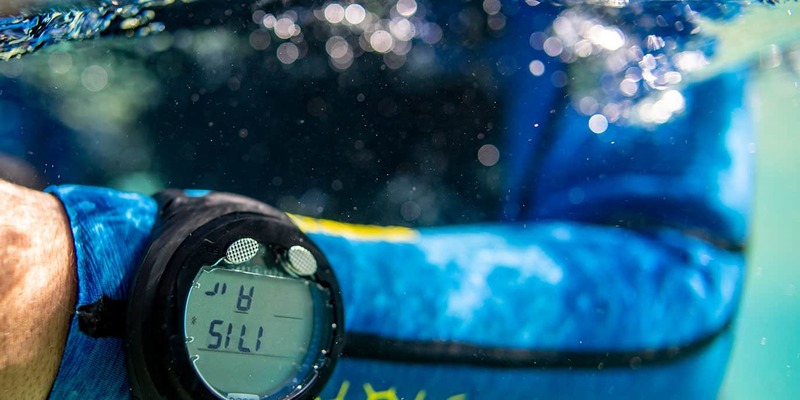 The best dive computers for beginners are intuitively designed and a breeze to use. 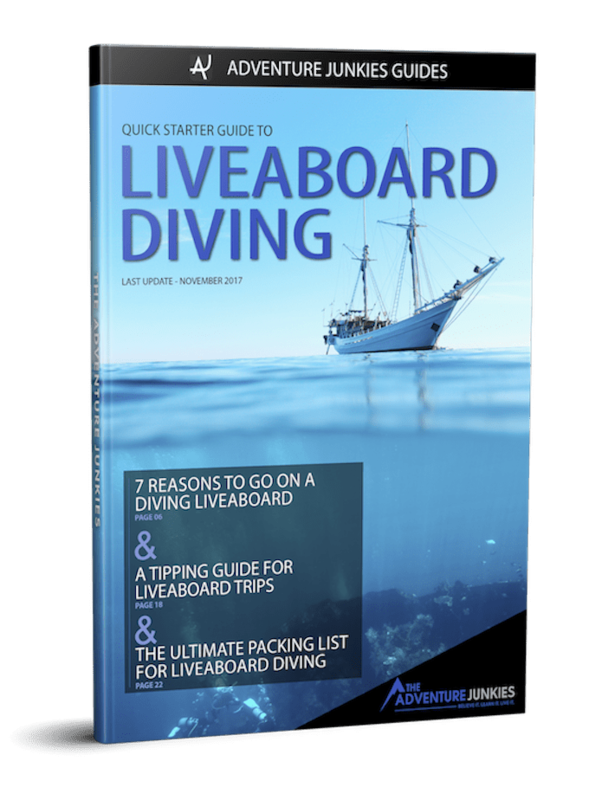 So, you’ll want to choose a model with easy to navigate menus for planning, logging, and monitoring your dive. Keep in mind that a complicated or confusing computer will distract more than it helps underwater. And, as a newly certified diver, you won’t need all those bells and whistles anyway. Best of all, a good basic computer will serve as an excellent backup if you decide to upgrade in the future. When you first start scuba diving, keeping an eye on your computer underwater can be a challenge. If you don’t see well close up or plan to dive in low light, choose an oversized display. And, if you prefer a smaller style, be sure that you select a bright, backlit screen that will be easy to read at depth. Scuba diving computers come in many different designs, but wrist and watch styles are best for beginners. Wrist style computers are heavier and bulkier than their smaller watch counterparts, making them easier to find and read during your dive. These models are generally more durable and robust, but less fashion focused. Watch style computers are small and stylish enough to be worn daily, both in and out of the water. 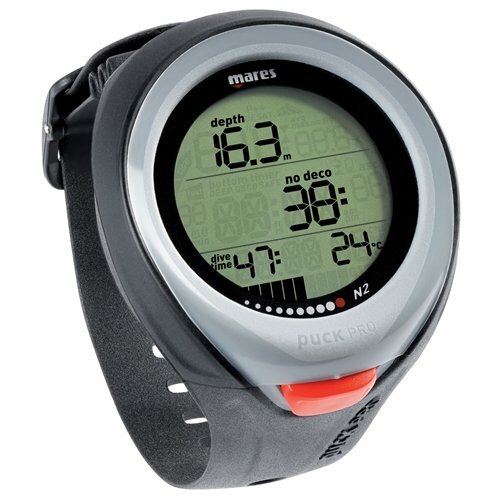 But, some new divers may find them more difficult to operate underwater, especially in low light or cold water. When choosing between these two styles, consider where and how often you’ll use the computer, and how hard you are on your equipment. When shopping for your computer keep in mind that more expensive doesn’t necessarily mean higher quality. There are plenty of excellent models at every price point, and they are just as safe as high dollar options. The best computer should fit your budget, be durable enough for your level of diving, and last for multiple years. If your equipment is intended for daily use, or you are especially hard on your gear, consider a budget model that is built to last. And, don’t forget to research the warranty for your computer of choice before making a purchase. Some dive computers require a licensed service technician to change their battery. So, if you are planning to travel in remote regions or don’t have a service center nearby, a model with a user replaceable battery is best. That way, you can just carry a spare. It’s an easy way to guarantee that you’ll never have a day of dives ruined by a low battery. Every computer on the market provides a safe diving profile based on the recreational dive tables. But, some allow you to choose between multiple algorithms to select a more conservative model. Simply put, these computers allow you to select an even lower risk dive plan than what is normally calculated. Other adjustable safety settings may allow you to add extra decompression stops, slow down the recommended ascent rate, and set a variety of audible and visual alarms. 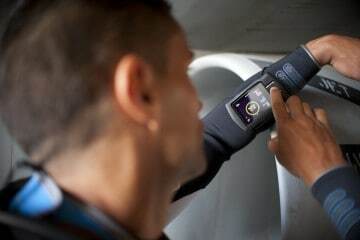 Air integrated dive computers use Bluetooth technology to monitor tank pressure throughout your dive. So, they display all the normal information like depth and time in addition to how much air you have left. Some divers prefer this type of system because it reduces the need to dive with a pressure gauge. But, it’s not for everyone. To use air integration, you’ll have to purchase a wireless transmitter as well. You should keep the extra cost in mind as a part of your budget. Also, keep in mind that transmitters for air integration are sensitive electronics and should be handled with care. These days, all dive computers include 3 basic modes; air, Nitrox, and gauge. Air mode is for divers using 21% oxygen. This is the most commonly used gas blend, and what all beginner divers are trained and certified to use. Nitrox mode is for divers trained and certified to use oxygen enriched air. Nitrox usually contains between 32 and 34% oxygen. And, it’s one of the most popular specialty certifications available today. Gauge mode displays only depth and time. So, it’s sometimes used by divers who prefer to calculate their own profiles using the recreational dive tables. 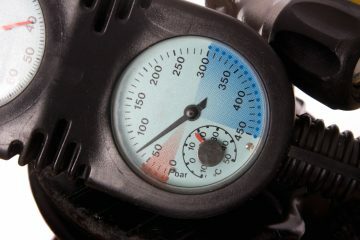 Gauge mode is also used by technical divers to plan multigas immersions. Freediving mode is for apnea or “breath hold” diving. Wearing a dive computer isn’t mandatory for freediving, but it does help you track depth, bottom time, ascent rate, and surface interval. Keep in mind that freediving after scuba diving can be dangerous, and the two sports should not be combined. Gas switching is used by technical divers during planned decompression stops. So, it’s not for newbies. But, if you plan to take your diving beyond the recreational limits in the future, you’ll need a computer that allows you to change gas blends mid-dive.